During Chinese New Year, it very common for people to start coughing. Reason is because of the high availability of fried food, cookies and Mandarin oranges. As it is the last day of Chinese New Year today, some of you may have already developed a bad cough and wanted to look for remedies to cure or relief your cough. 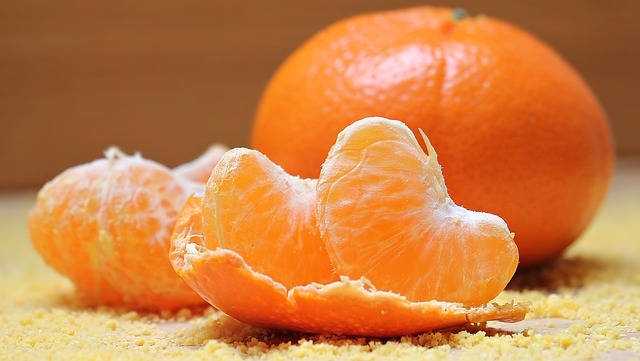 Usually, I minimized my intake of Mandarin oranges because I noticed that I developed sore and itchy throat from taking the Mandarin oranges. Most of my friends on the other hand, would start coughing once they have too much of Mandarin oranges. However this year, as I was at home most of the time, I started consuming some Mandarin oranges. I also ate my favourite prawn crackers which a friend gave to me. Not long later, I started to develop a cough which is getting progressively worse. A wise neighbor suggested some home remedies for cough. This lady had her fair share of coughing herself and her family members and had tried some remedies which worked for her. It is said that there is no definite cure for cough but there are a couple of things you can try to see if it brings relief. A cough usually started as heaty cough, based on what my neighbor said. This is characterised by coughing which is equally bad in the day and night. As the cough progressed, it moved to a different type whereby the person finds the cough becoming more serious at night. 1. Take an orange (please an orange and NOT mandarin orange), wash it very clean. Cut off the top. Slide 4 incision within the top. 2. 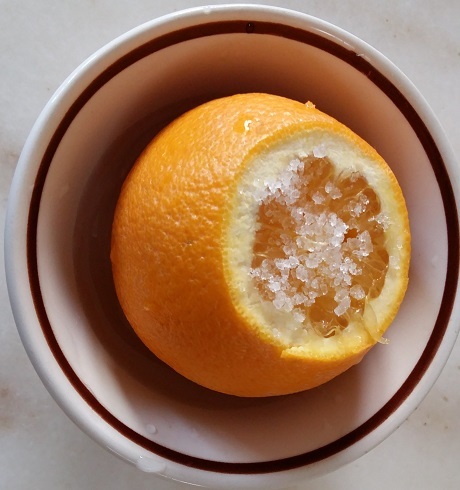 Sprinkle a little bit of salt on top of the orange. 3. Place the orange in a small cup/ steel or clay container (the type who can stand heat) and put the water till half full. 4. Then place the container in a pot to simmer with water for about an hour. 5. Once it is cool enough, consume the juice. You may eat the flesh if you want to. She said the salt would cool down the heat in the body. Did it work? I have tried this method and unfortunately it did not really work for me. But cough is individual and a remedy that does not work on someone may work on others. According to the lady, the orange remedy would not be effective for cough that has progressed which is characterised by being serious at night. 1. Slice some old ginger and place into a pot to boil. 2. Filter out the ginger after boiling and add some honey to the drink. The lady had also tried some other remedies which worked for her- once, she bought a small ripe pineapple and cut it up. Initially she was worried that the pineapple would trigger her gastritis and only ate half. She ate the pineapple with salt (instead of dipping at rojak or sour plum powder, use salt). Noticing that her track cleared and she felt much better, she ate the other half. Next day, she bought another small ripe pineapple, cut it up and ate by dipping it with salt. However she had the pineapple after having her meal. Her cough disappeared. Note: You may need to be careful with pineapple if you suffer from gastric. A friend of mine, a Malay lady was suffering from cough which lasted for weeks. No medicine that she got from the doctors worked. She cough until she felt her lungs are going to fall out. Finally at the recommendation of a friend, she went to see a traditional Chinese physician at Tung Shin (Tung Shin is a hospital in KL which also have a section that practices Chinese medicine and I have heard a lot of positive reviews from the people I know). They administered acupuncture and gave her some Chinese medicine to take. She took the medicine only once and her cough promptly disappeared. Why some people do not want to seek help for depression/ mental health issues?